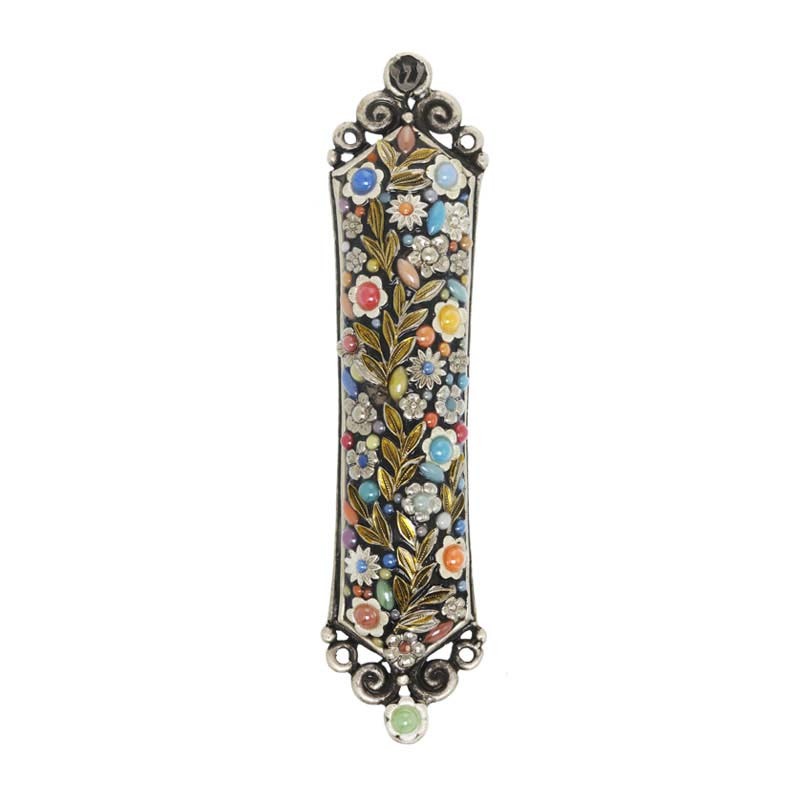 Colorful stones and metallic flowers pop against dark enamel. Golden leaves complete the garden motif. 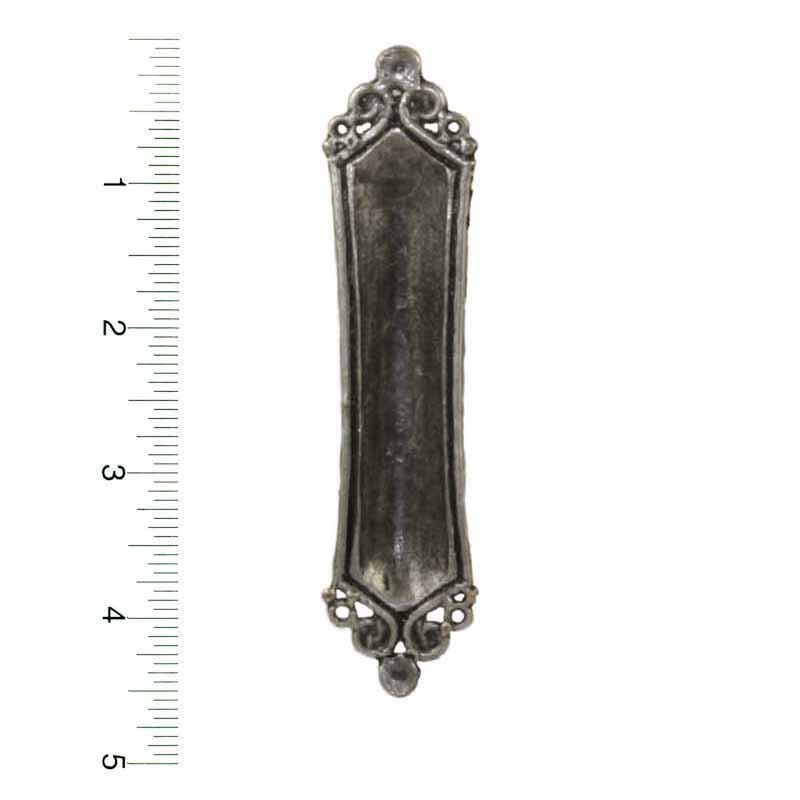 This floral mezuzah represents growth and new life and is a beautiful and spiritual piece of home decor that will brighten up any door way.